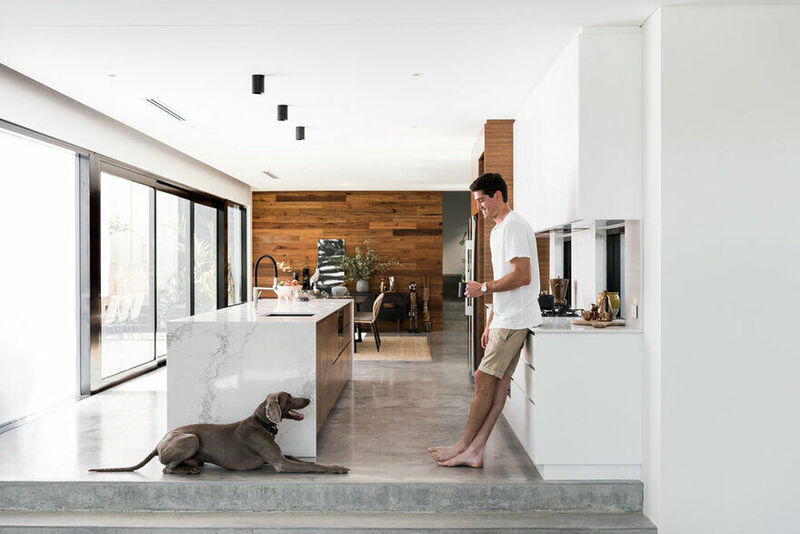 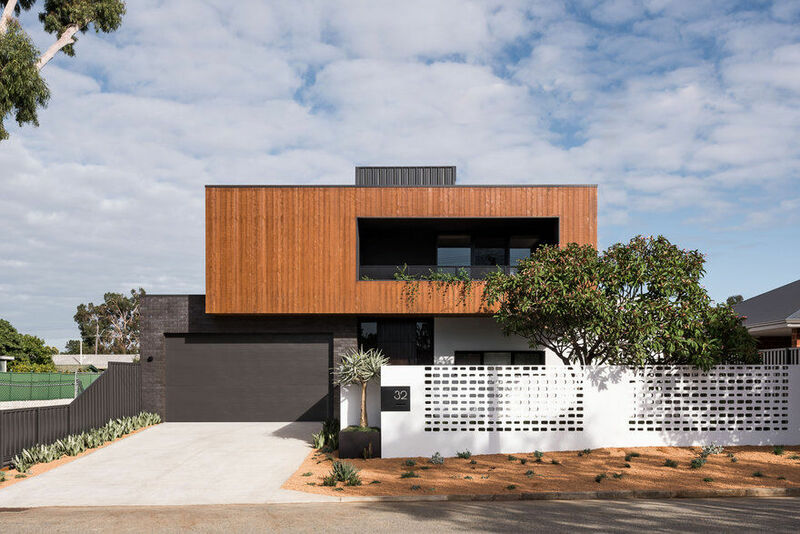 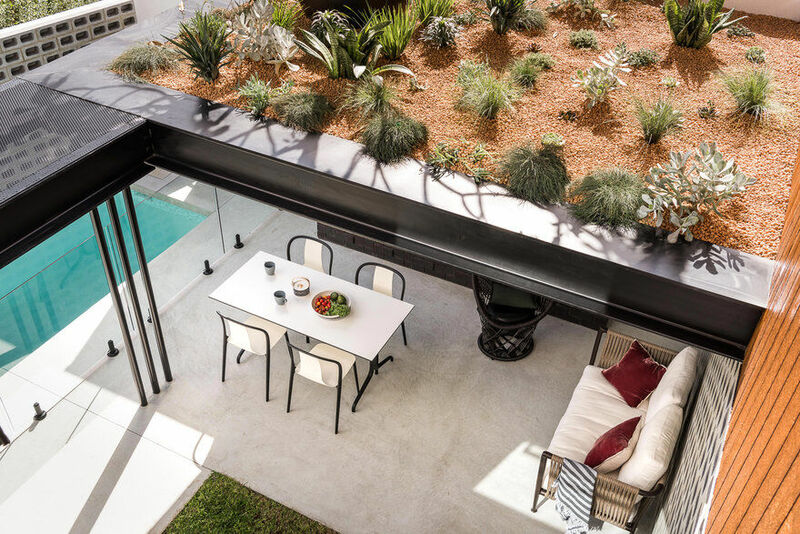 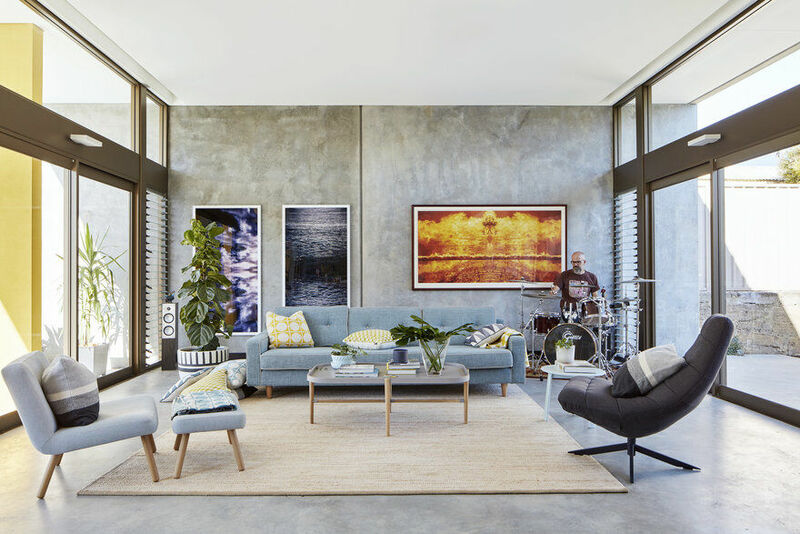 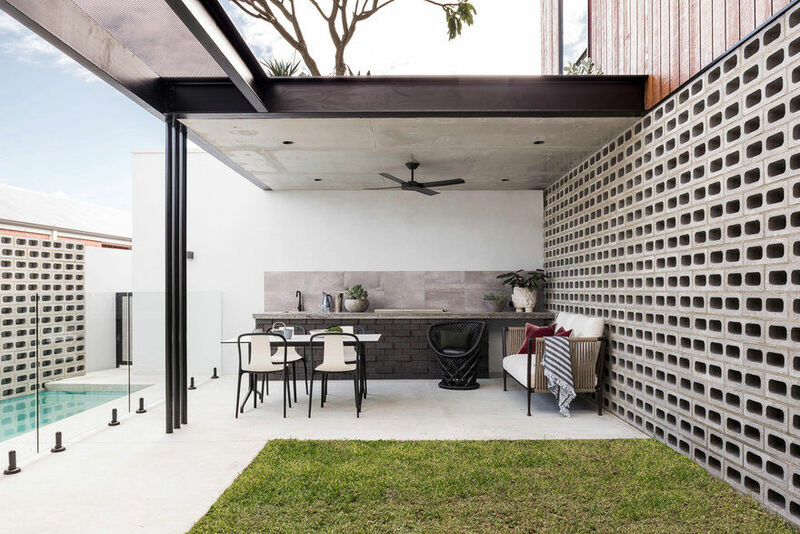 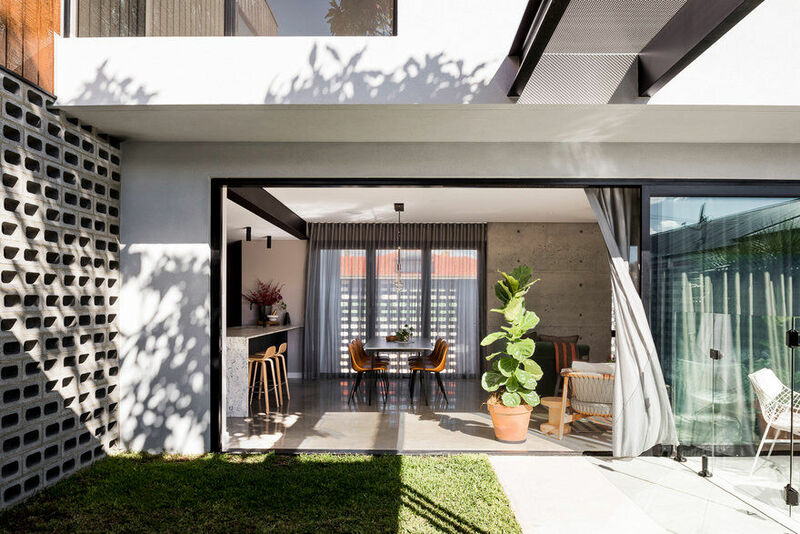 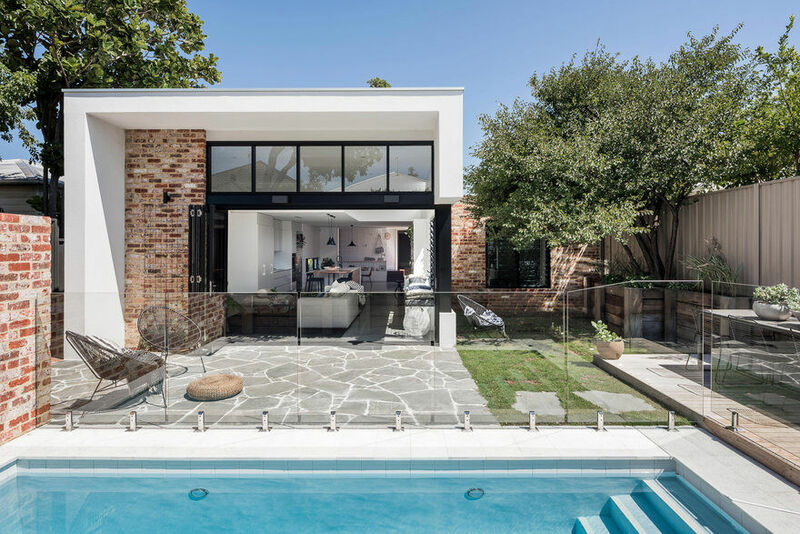 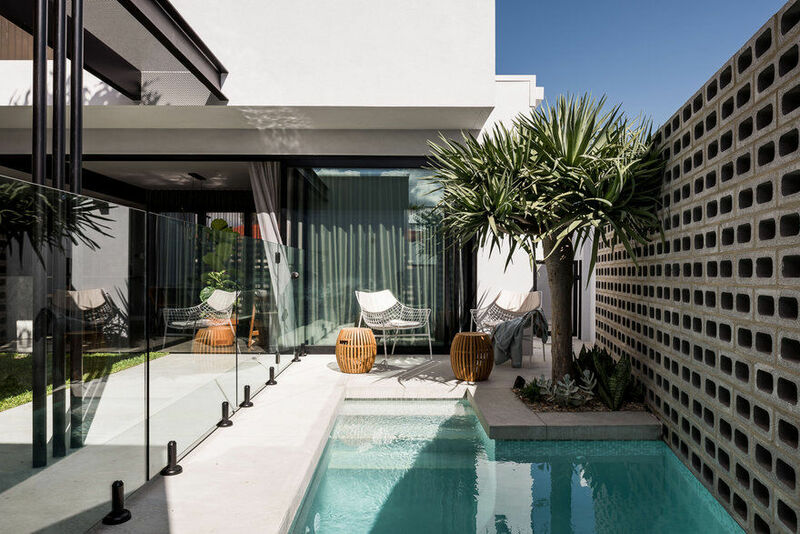 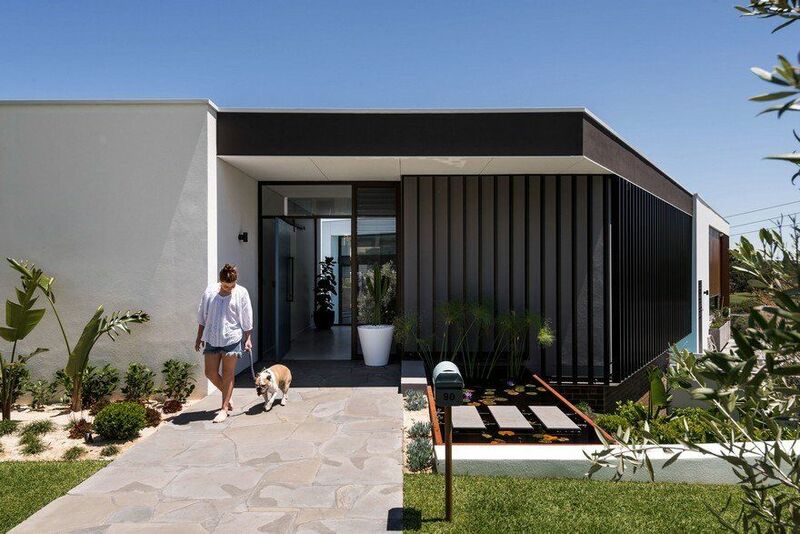 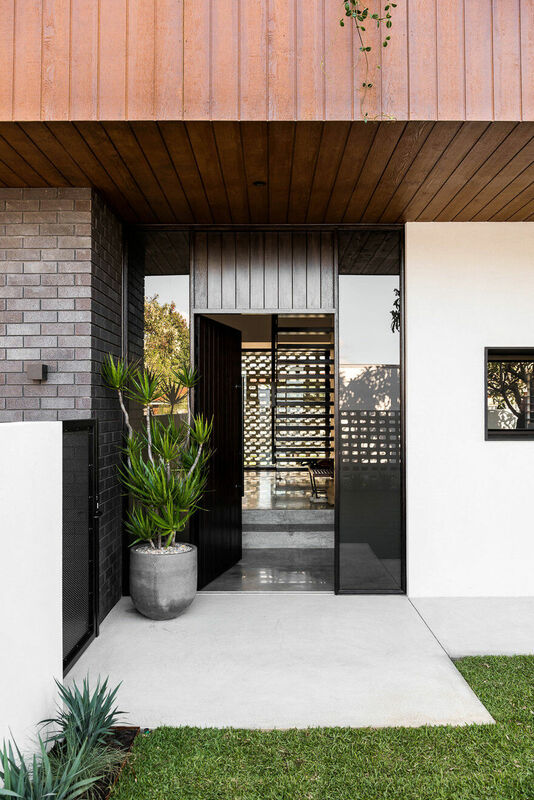 Dalecki Design created a U- shape layout for the home, which wraps around a central courtyard and alfresco zone, creating a cohesive indoor/outdoor connection. 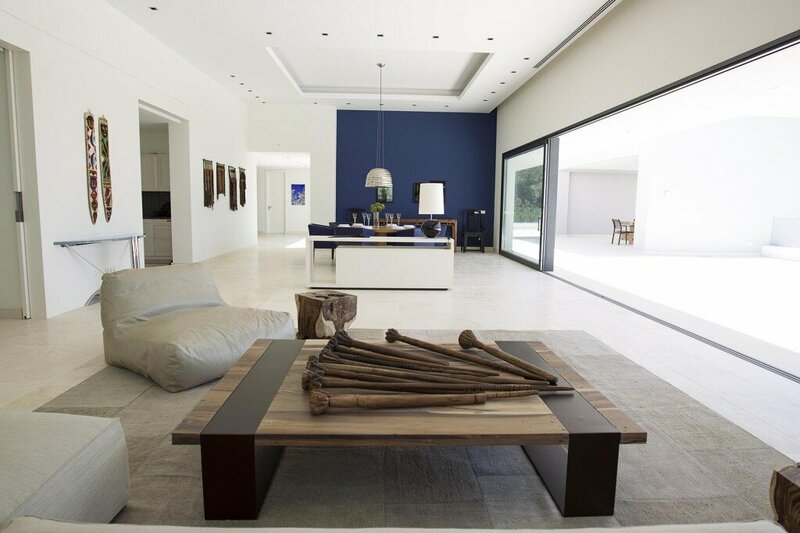 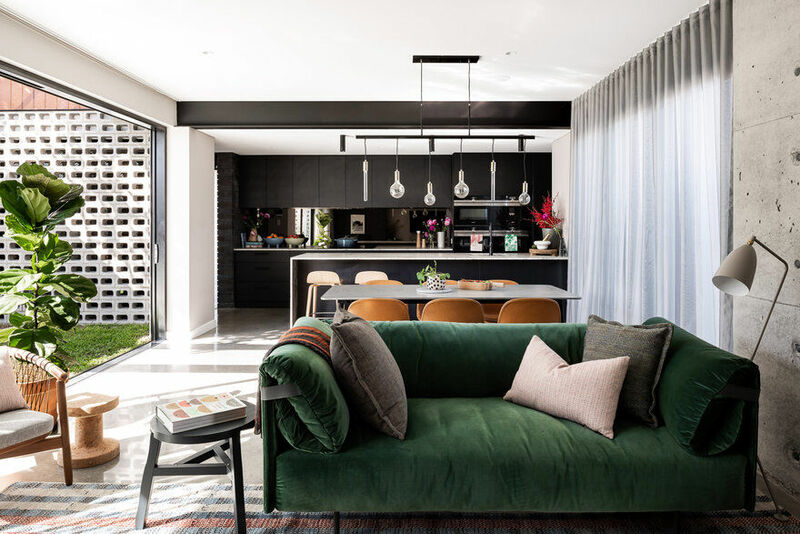 This layout allows the home owners to have views to the outdoors from all areas of the house, whilst also allowing the northern sun to penetrate through the open courtyard and into the home. 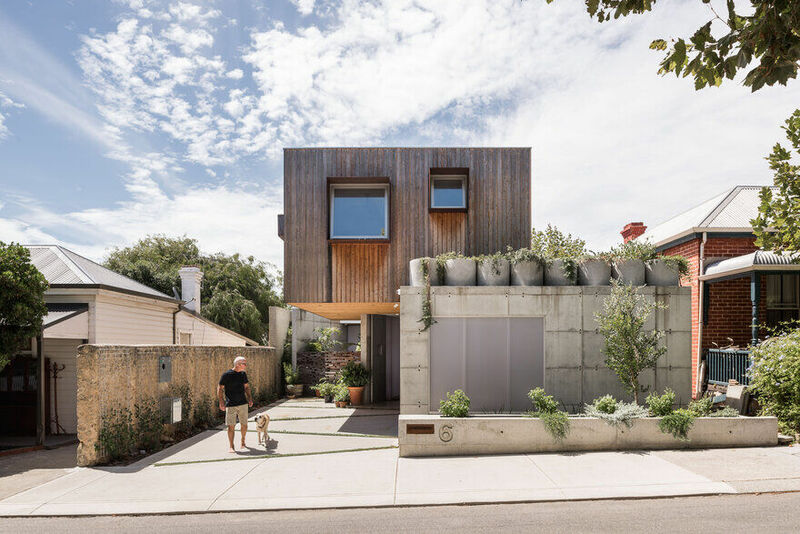 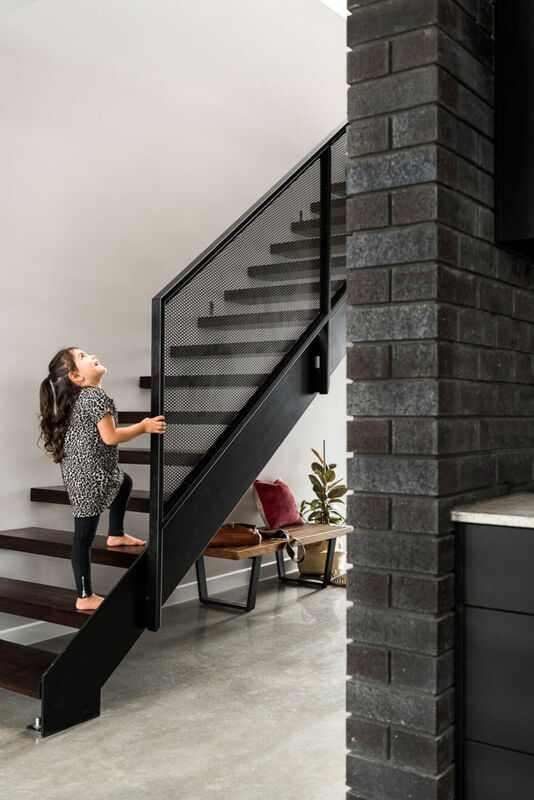 The U-Shape family home has been separated in to two distinct zones over two floors, allowing both the children and the parents to have their own space and privacy as they grow. 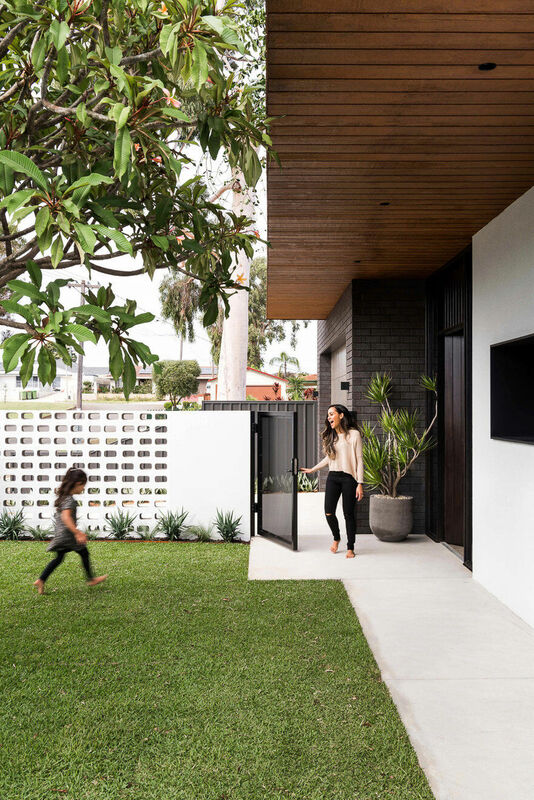 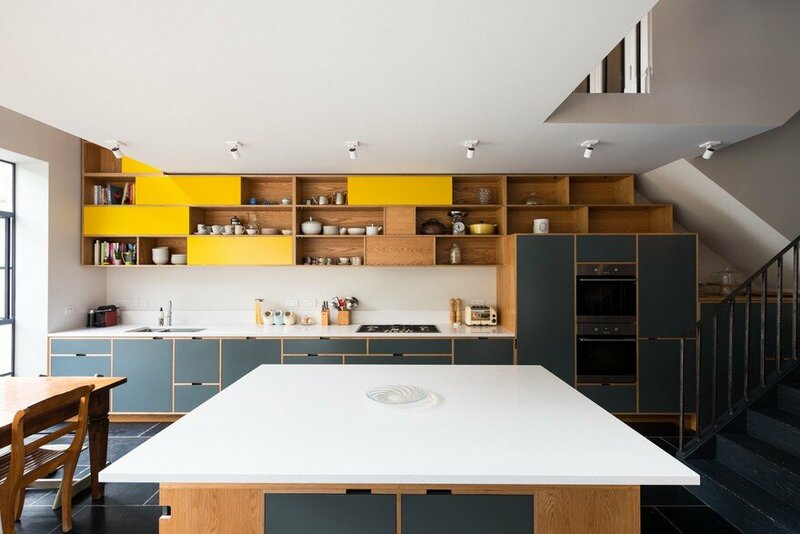 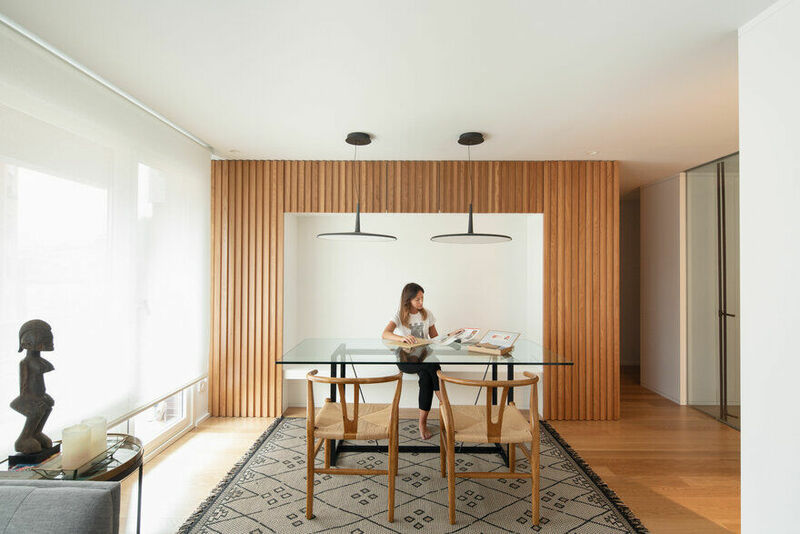 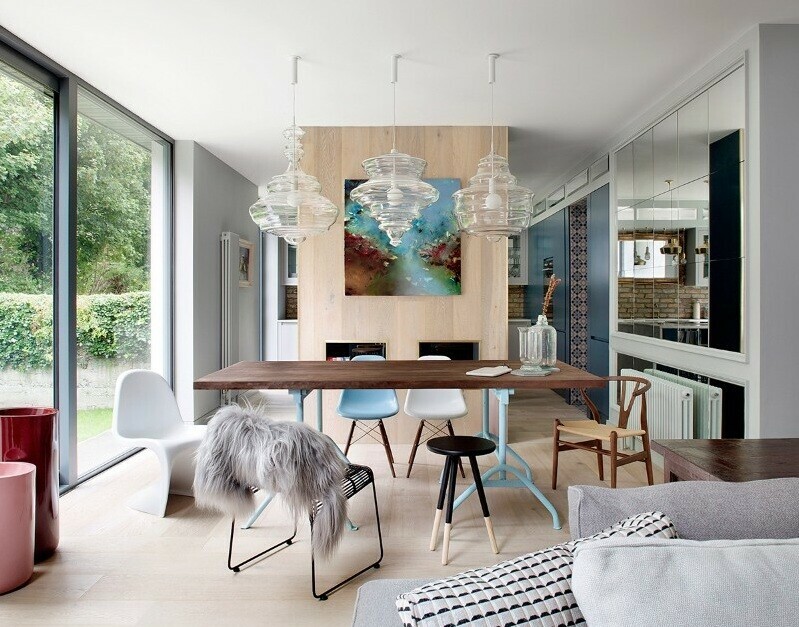 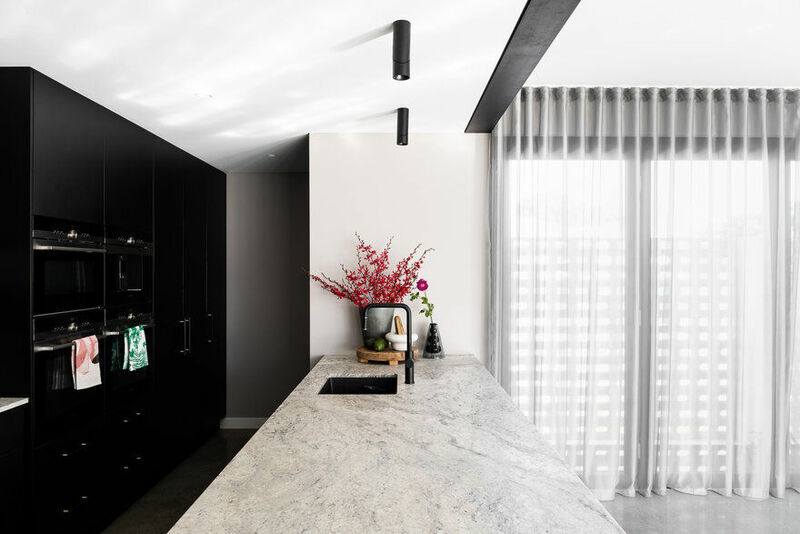 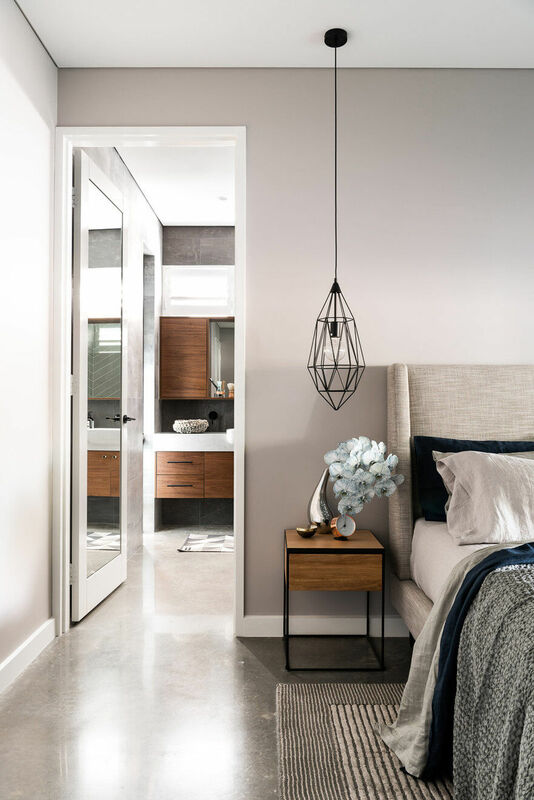 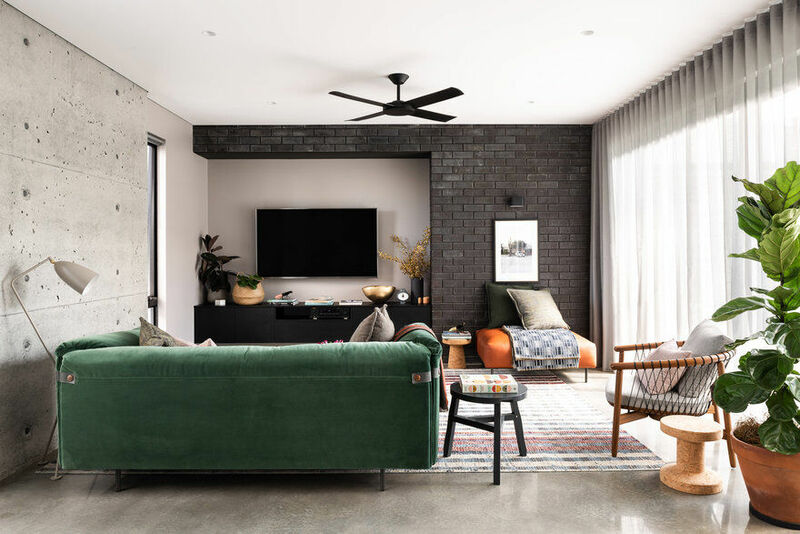 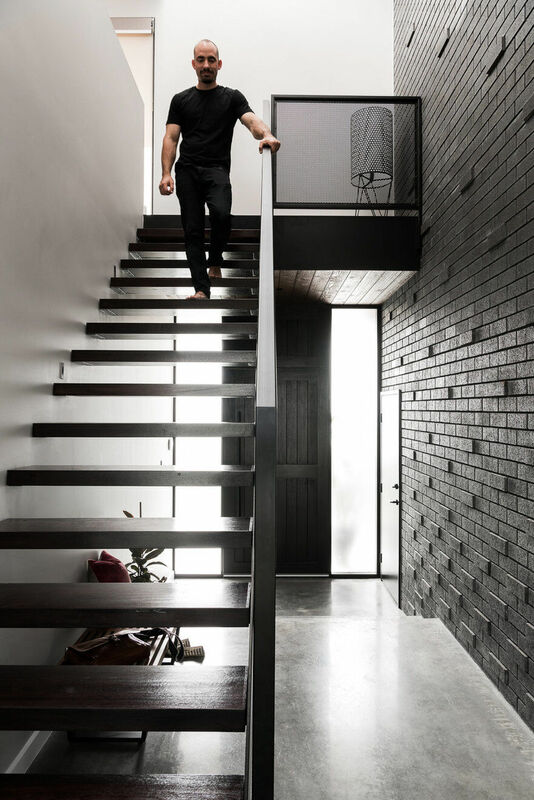 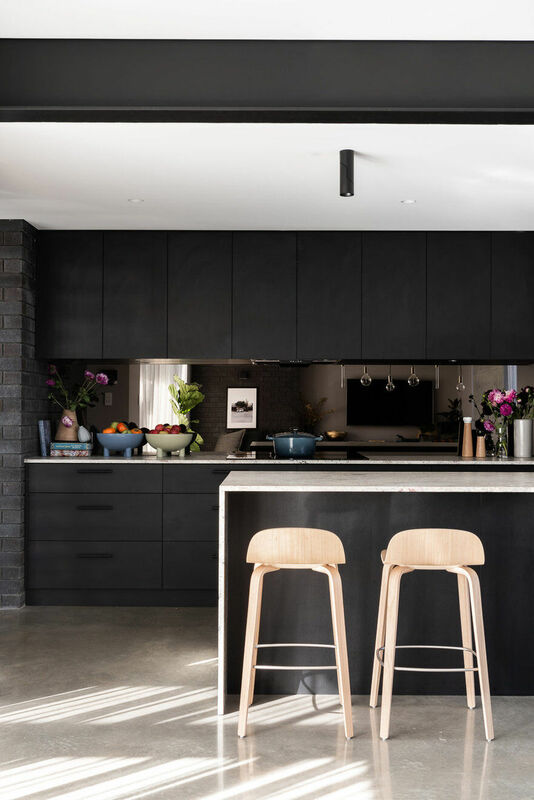 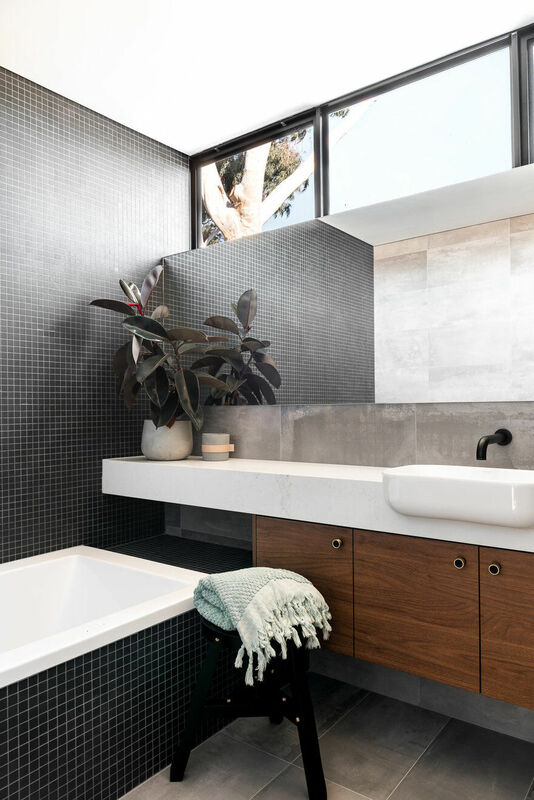 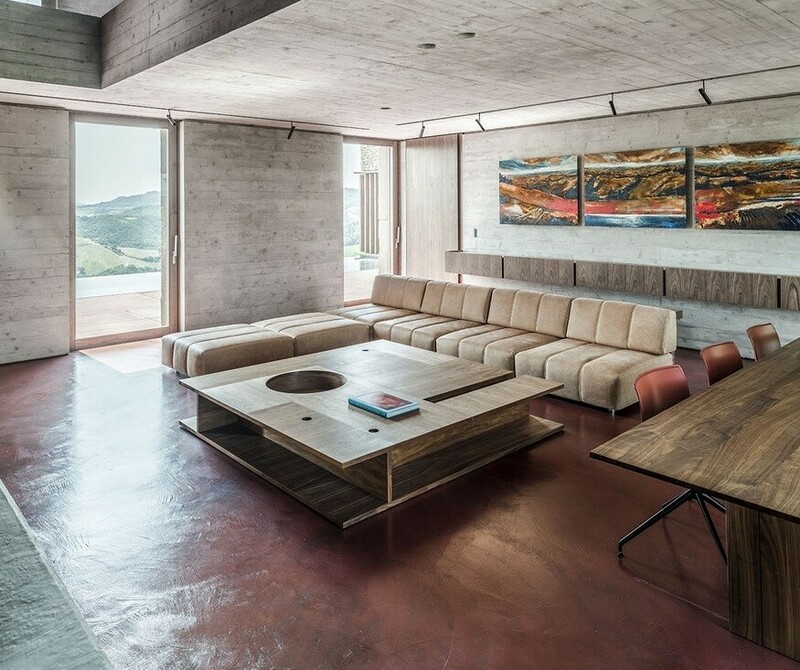 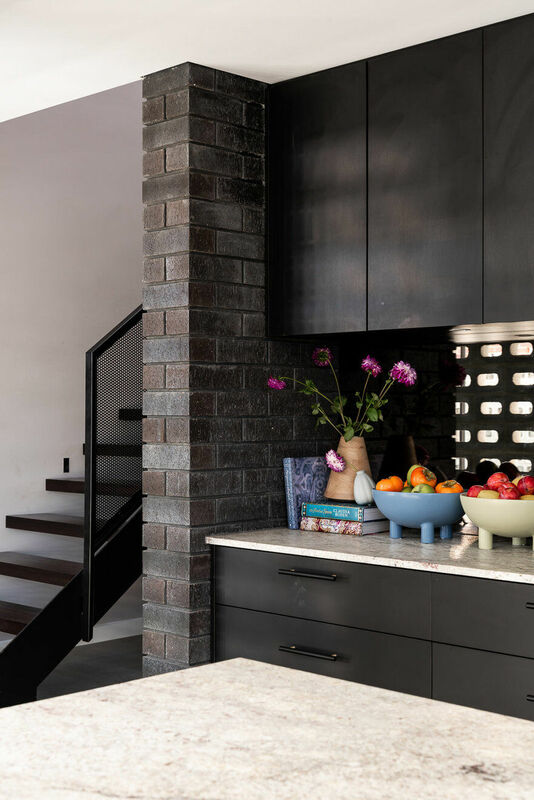 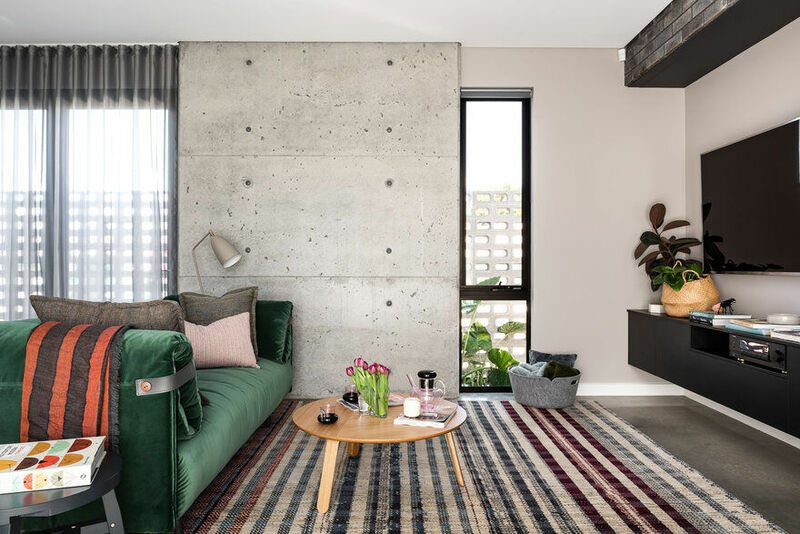 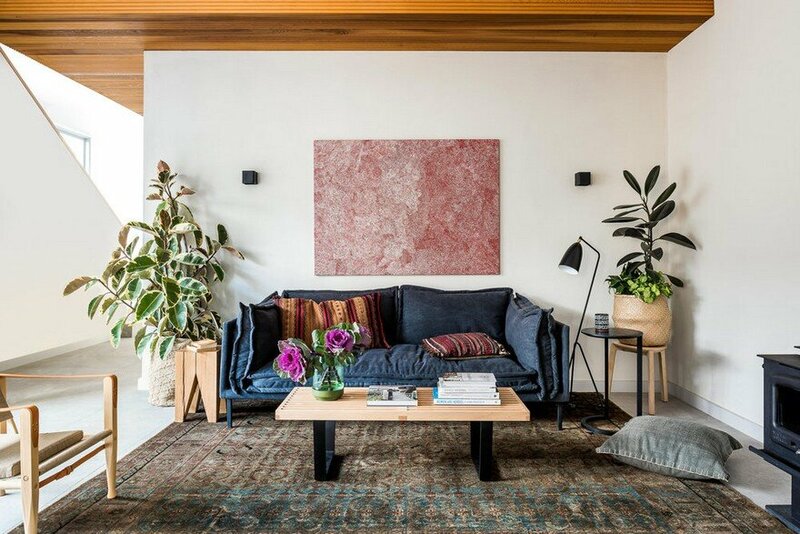 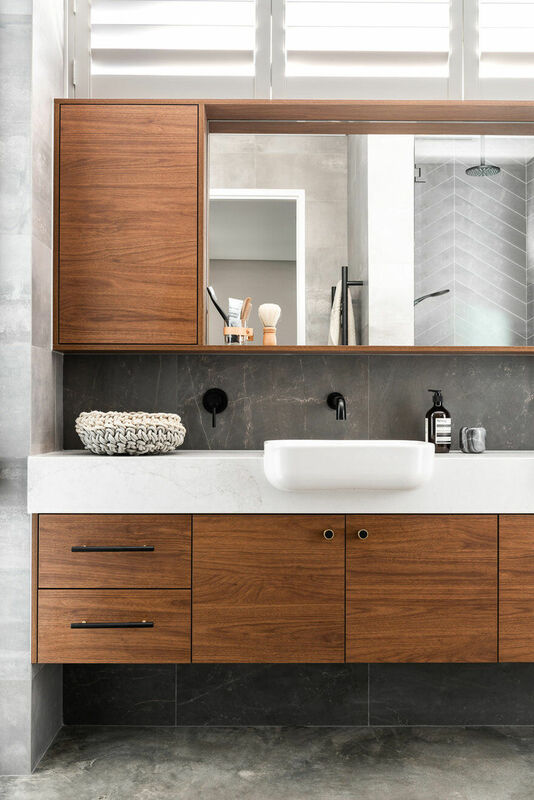 The home’s compact, yet spacious functional layout means there are no large distances to travel between internal spaces, with the ability to easily site and communicate between spaces creating a sense of connection internally between all zones.